At least €1bn is pumped into the Irish economy every year by the development and operation of data centres by some of the world’s biggest tech giants, a new study prepared for the IDA has found. 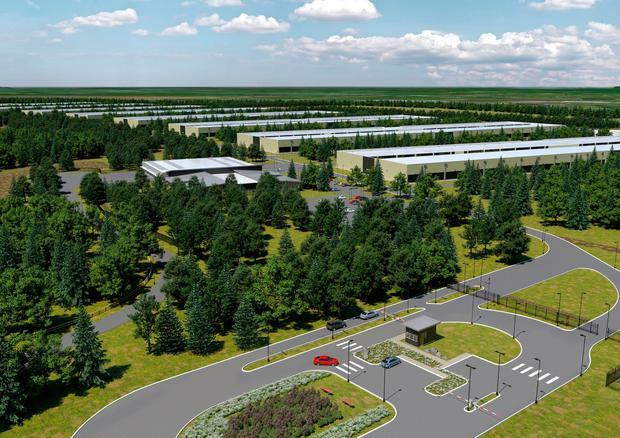 The report, by consultants Grant Thornton, is part of a major push-back against negative publicity for the sector since Apple pulled its plans for a massive data centre cluster in Athenry after objections sparked a drawn-out planning battle. Critics argue that the huge facilities create relatively few jobs and use huge amounts of electricity. But the new report found 5,700 construction and operational jobs are supported by data centres here each year. Total direct and indirect expenditure on Irish data centres by companies such as Facebook, Google and Amazon is estimated at €7.13bn since 2010, said the report. This has seen jobs at companies with large Irish data centres doubling to almost 10,000 since 2010, it said. The report comes as major US data centre developer CyrusOne faces planning hurdles for plans for one of the country’s biggest such facilities, close to Baldonnel. South Dublin County Council has requested the developer carry out a bat survey in the area as well as a full energy analysis of the proposed 32,000sqm facility after An Taisce and planning consultants hired by local residents raised questions over energy usage. But Leo Clancy, head of technology, consumer and business services at IDA Ireland said the development of data centres was “a valuable industry which we expect to see continuing to grow and add jobs and economic benefit for Ireland”. “As the report shows, data centres have made an average economic contribution of €1bn per annum in Ireland over a seven-year period,” he said. Clancy said there were huge benefits for Ireland’s construction industry because “the early presence here and continued growth of the industry has also allowed Irish companies to become recognised leaders in data centre construction, building valuable businesses both here and overseas”. Data from the Construction Industry Federation found that in 2016 Irish firms had contracts overseas for €2.2bn for data centres, supporting 6,600 jobs, he said.